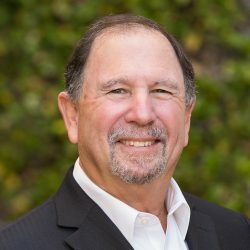 Mr. Rosen’s 40-year real estate career in North America and Asia has encompassed all phases of innovative real estate development and investment management. His diversified “hands-on” development experience includes over $2 billion in multi-family residential projects, single-family tracts, retail shopping malls and shopping centers, office buildings and industrial parks. In addition to his years as an active owner/developer, Mr. Rosen’s depth and breadth of real estate experience also includes providing comprehensive investment advisory services, property acquisition and disposition strategies, capital raising and asset management services to investors, major regional and global banks/financial institutions, large-scale landowners and public/private developers in North America, Europe and throughout Asia. He commenced his development career in Los Angeles co-founding PR Properties, an award-winning residential and commercial developer focused on L.A.’s exclusive Westside communities. Mr. Rosen also co-founded PDG Investments, a Vancouver (Canada) based “big box” and lifestyle shopping center developer. In Asia his strategic development clients included CB Richard Ellis (Asia), Commerzbank, Fok Ying Tung Group, Prestige Group and the Lodha Group, amongst others. Mr. Rosen holds an MBA from the Tuck School of Business (Dartmouth College) and a Bachelor of Arts in Economics from the University of California, Los Angeles. He has been a frequent speaker at industry conferences and was a guest lecturer in international property development in the Masters of Real Estate Development (MRED) program at the University of Southern California.